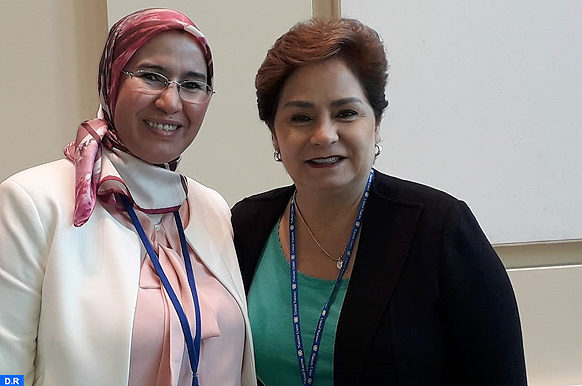 New York – Secretary of State for Sustainable Development Nezha El Ouafi met, Wednesday in New York, with Executive Secretary of the United Nations Framework Convention on Climate Change (UNFCCC), Patricia Espinosa, on the sidelines of the 73rd session of the United Nations General Assembly. 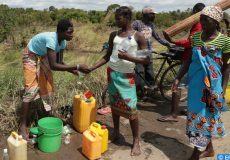 Discussions between the two parties focused on the negotiation process for the implementation of the Paris Climate Agreement, and coordination on Morocco’s participation in the UN Annual Conference on Climate Change (COP24), scheduled for December in Katowice, southern Poland. 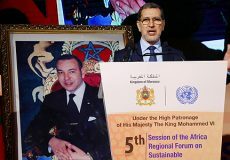 On this occasion, El Ouafi expressed Morocco’s commitment to environmental protection and sustainable development by mobilizing its partners as part of South-South cooperation and bringing views together on financing issues, skills development and the promotion of collective responsibility to finance projects geared towards combating the impacts of climate change. 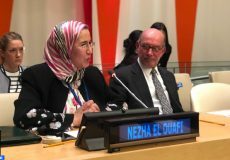 She also affirmed willingness to make the Moroccan Climate Change Competence Centre a mechanism for building the capacity of environmental protection partners and actors in African countries.